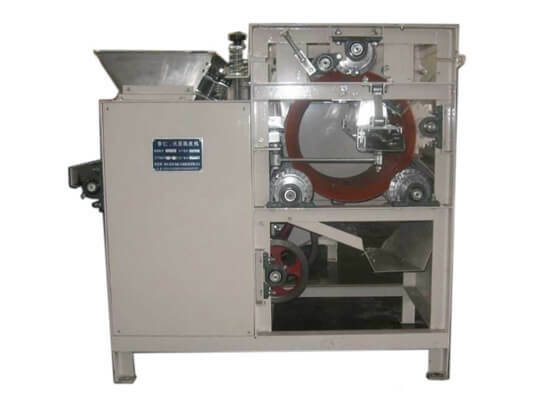 This wet type almond peeling machine is mainly used to peeling almonds for canned almond, almond dish, almond drink and almond dew, etc. 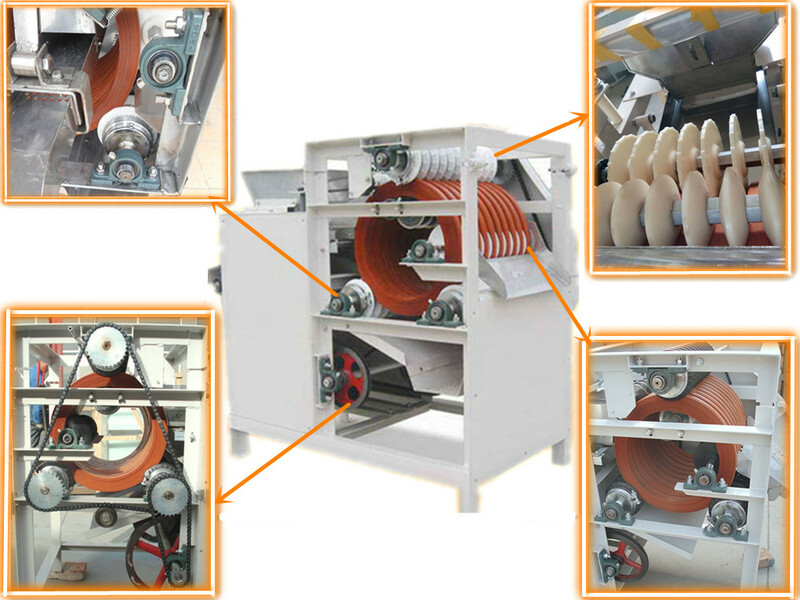 Our peeling machine adopts high standard pure soft rubber wheel which can remove the skin of almonds easily and gently, so it features high peeling rate, high complete-kernel rate, and non-pollution. Our wet type almond peeling machine is the ideal equipment for small and medium almond processing factory or food processing plant. 4. The peeling rubber-ring is made of quality rubber through vulcanization, with the abrasive wearing of 0.1-0.4mm/10km and service life more than three times longer than that of an ordinary rubber-ring. 5. Vibration discharging is adopted with auto separation of peanut skin and kernel, resulting in no loss. 6. Food place is made of stainless steel, hygiene and healthy for food standard. 7. Equipped with one extra free spare parts when shipping. Before feed, the almonds, soak them first. Next, put the almonds into the feeding funnel of this machine, the rubber rings rub to peel the almond. Then the peeled almond will be discharged without skin. It’s mainly used in the previous processing of canned almond, almond dish, almond drink and almond dew, etc.